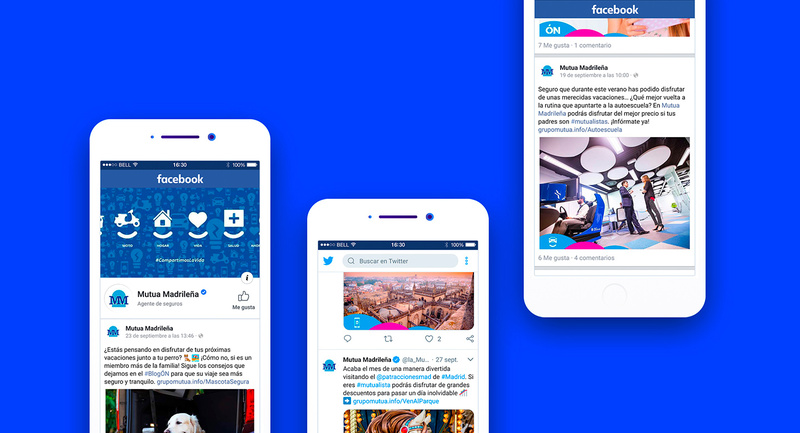 We digitalized the Social Support process at Mutua Madrileña, analyzing the workflows and turning them into touchpoints across social networks and other customer service digital channels. In order to develop a strategy, we immersed ourselves in Mutua Madrileña’s call centers and in the day-to-day protocols for answering and workflows in the involved areas (Commerce, Digital Transformation, IT or Communication). The final deliverable was a guide that picked up the entire process of customer service across social networks. Parting from the initial audit, we applied a methodology of Social Support to define flows, types of interactions, and needs of the ticketing tool for Mutua Madrileña.